I’ve wanted to make this Marrakesh beef dish ever since I tasted it in the test kitchen at The Beef Checkoff headquarters last summer. I had flown out to Denver last summer for my first meeting as a part of a newly developed beef ambassador program. I was invited, along with 2 other bloggers and 3 registered dietitians to be a part of the 2014/2015 Beef Bureau team. I am a proud supporter of beef as part of a healthy diet, as you can see by my many beef recipes on the blog. I shared information about the health benefits of lean beef in my Steak Stuffed Collards post, which I’m excited to announce won third place in The Recipe ReDux beef recipe contest! I’ve had some pretty amazing trips with The Beef Checkoff to learn more about beef from farm-to-fork and beef nutrition. My first trip was in October of 2013 to Chicago for a LiveWell event. I learned so much about the nutrients in beef, the art of butchery and delicious beef preparation ideas to bring out the umami in a dish. The following year, I attended a local tour at Partisover Ranch in Colbert, GA followed by a seminar at The University of Georgia on the farm-to-table process and wrote about it in my “The Health Benefits of Lean Beef” post. Several months later, I traveled to Texas and got a more in-depth tour of the beef pasture-to-plate process. I just love my foodie adventures!! I get to learn valuable information straight from the source to share with all of you, how cool is that?! Ok, back to the recipe I’m sharing today….my friend and fellow Beef Bureau member, Toby Amidor of Toby Amidor Nutrition, prepared this recipe in the test kitchen during our cook-off challenge. We were each given a station and a recipe, developed by The Beef Checkoff, to prepare for the team. 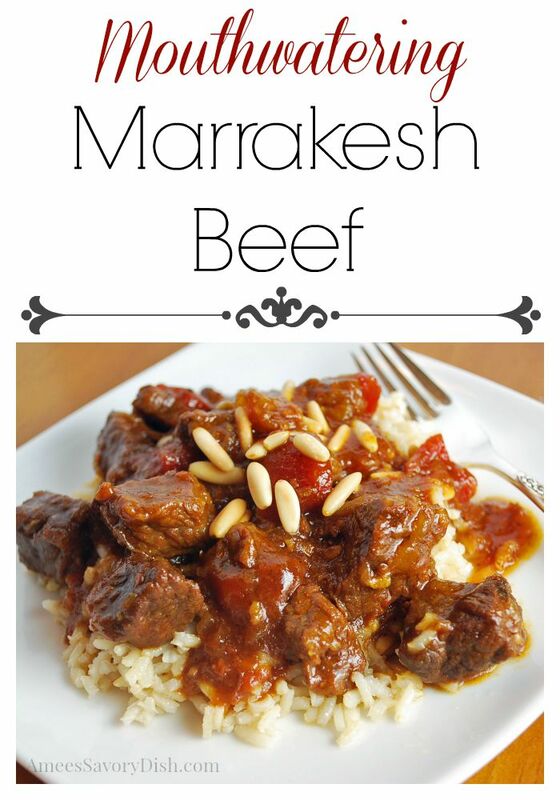 This Marrakesh Beef was the bomb and I’ve been wanting to make this at home. I can’t believe that I’m just now getting around to posting it, it was so flippin’ good!!! I knew that my family would love it, we are big fans of sweet/savory flavor combinations. The original recipe called for toasted pine nut couscous, instead of the brown rice. The couscous was delicious, but I needed a gluten-free alternative for my husband. 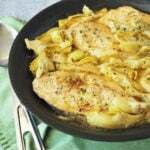 The brown rice is also a nice compliment to this dish. The only disappointment that I had making this recipe was that I didn’t double the servings. We really wanted leftovers! Bring mixture to a boil, then reduce heat to low, cover and simmer 1 1/2 hours until beef is fork tender. 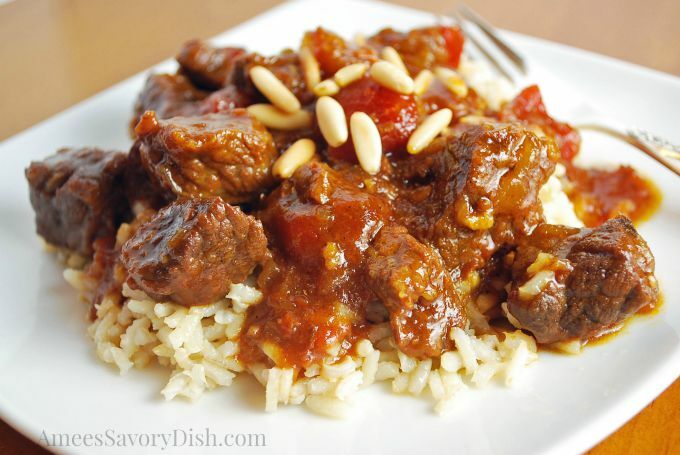 This simple variation of Marrakesh Beef is a flavorful sweet and savory meal.